Breakfast that tastes like vacation....a giveaway! ...sounds like a tropical vacation, doesn't it? Yum! I just bought (TWO COPIES!) of this book: Coffee Cakes: Simple, Sweet, and Savory by Lou Seibert Pappas. I've been feeling like I need a few more coffee cakes in my repertoire. Then last week, I stumbled upon this book. It was hard to decide where to begin, but I chose Banana, Macadamia Nut, and Coconut Coffee Cake. It's almost tropical tasting with the macadamia nuts and coconut and it's really, really moist! Here's a link to the recipe. I followed it to the letter, except I had to bake mine about 15 minutes more that the recipe states. Would you like my other, brand-new copy? The random generator will pick a lucky number on Sunday evening. Ive found nothing is better on a hot summery day than some iced coffee and pumpkin bread! I like the iced coffee cake with a swirl of cinnamon thru it and really dense...oh yummy...and let's not forget the crumble coffee cake. I would love a cookbook with ideas for more since I usually end up with the same. I can honestly say I've never met a coffee cake that I didn't love... Hoping to win that book, so I can add lots more to the list!!! I love blueberry crumble coffee cake, with a hint of lemony flavor! Yum yum! I'm boring. I've only ever had cinnamon coffee cake. I think this recipe sounds fabulous though!! Anything with LOTS of cinnamon. Hmm...i may need to go find a recipe now. mmmm... Apple Cinnamon for me. Please. Just a plain old sour cream coffee cake with cinnamon streusel. YUM! You are SO bad for my diet!!! I should really just unsubscribe but I know that will never happen! I love all kinds (which is why I'm on a diet!!!) but I think my favorite is nice traditional cinnamon. YUMMO!!! I like mine with walnuts in it and lots of cinnamon of course! My favorite coffee cake is blueberry. I have wonderful memories of visiting my grandma in Michigan--we would spend the day picking blueberries and then come home and bake a blueberry coffee cake together. To this day, it is still my very favorite breakfast food! I love the barefoot contessa blueberry strussel coffee cake...turns out perfectly every time! But I'd love some new recipe ideas! Ah, coffeecake. I love it, with lots of cinnamon. And since I've found Penze's, there are cinnamon varieties to try. I would love to add your cookbook giveaway to my library. coffee cake with sour cream! 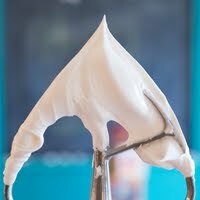 sour cream makes everything better! I made a blackberry coffee cake ( I ran out of blueberries) Soo good! It was a little tart, but the sweet crumb topping set it off great!! Sour cream with chocolate chips and sugar glaze...yummy! 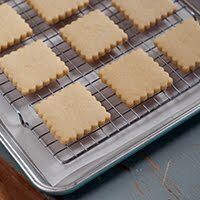 Have never made one, but when I see them at the bakery I am a sucker! My favorite coffee cake is a pumpkin cranberry pecan coffee cake that I make. I would love to try new recipes and the books sounds wonderful! Wow...that cake looks delish! I guess my favorite is rather old-fashioned...lots & lots of cinnamon & nuts. Just thinking about coffee cake makes me hungry...I need to go bake! Thanks for the chance to win. My favorite is a classic cinnamon sour cream coffee cake. But I would love to try some new ones. I love a blueberry crumble coffee cake w/ a PERFECT streusel on top. Can you EVER really have enough of a crumb topping? I don't THINK so! My mother makes the most amazing Spanish coffee cake. There is nothing Spanish about it, and neither of us know why it is called that, but it's one of my favorite treats. Hi Bridget!! 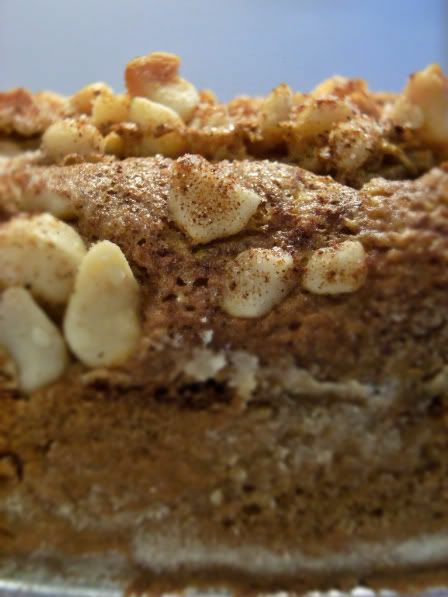 I definately have to make this coffee cake..oh my diet!! I love Paula Deens Ulitmate Coffee cake with butterscotch pudding mix, brown sugar, butter of course and pecans it is YUMMY!!! I'd have to say I've not experienced a whole lot of coffee cakes... perhaps I do need this book... but I love something with cinnamon and pecans. Coffee cakes, yummmmm! My favorite is a moravian sugar cake! I love to buy one when I am in Winston-Salem NC, but I have a recipe that makes a fabulous one! 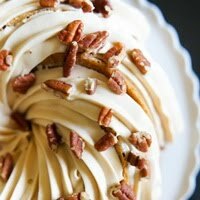 My favorite coffee cake is a sour cream cake with cinnamon and pecans on top - it was my grandmother's recipe, and it is delicious! I love any coffee cake with lots of icing! Yummy. The coffee cake you made looks amazing! I am a bit of a traditionalist when it comes to coffee cake though so my favorite flavor is cinnamon. Now I am definetly hungry. lol Any coffee cake with cinnamon, and lots of it. But coconut that would be interesting. Would love to try it. I have a recipe for a sour cream coffee cake that has tart cherry preserves swirled through it. It is simply amazing! I'm a simple girl when it comes to coffee cake - cream cheese coffee cake will do! I have a Blueberry Cake recipe that we love for a coffee cake. I have always liked plain ordinary cinnamon coffee cake. Nothing fancy! A crumbly topping of course. I love Apple Coffee Cake! Yum! I usually top with a glaze made from apple cider. I love coffee cakes that have tons of cinnamon in them and are dense and moist. In my quest to reduce my waistline, however, I've not had a piece in a long while. Perhaps I could find a reduced calorie recipe in this cookbook? I agree with some of your other commenters (is that a word?!?!) I like the plain jane coffee cake the best. Thanks for the great give away and the great blog. yum! I think coffee cake should have cinnamon and lots of it. Other than that, I'm pretty easy to please. The tropical one sounds divine! My favorite flavor of coffee cake is the old standby- cinnamon- with sweet cheese in the middle. YUM! I have to go with the classic coffee cake topped with lots of cinnamon crumb topping! I like raspberry cream cheese coffee cake the best!!! Blueberry Lemon would have to top mine. Definitely sour cream coffee cake with chocolate chips and lots of streusel! I am a purist cinnamon and lots of it. I like cinnamon. Im a plain jane type of girl. Blueberry Sour Cream is my favorite - I love all coffee cakes though. 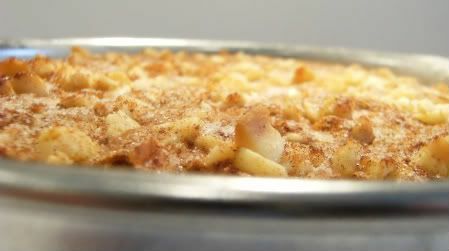 I don't really have a favorite, but if I was forced to choose, I'd go with apple coffee cake! just your run-of-the-mill cinnamon-ny crumbly coffee cake! My husband would love this flavor. I personally love a marble of vanilla, chocolate, and pistachio and I recently came across this one I can't wait to try! I LOVE the cinnamon coffee cake with the crumbly topping--so yummy! I've never met a cinnamon coffee cake I didn't like! Thanks for offering the book. What a yummy sounding cook book! Very fun give away! As I'm writing this I have a blueberry coffee cake baking in the oven, delicious! Mmm, cream cheese is my favorite I think. This looks so yummy that I am going to try soon. The kind of coffee cake that I love is blueberry coffee cake. Yum! I am ashamed to say I thought ALL coffee cake was cinnamon sugar with crumbly-ness on top. Obviously I really NEED that book! Oh, this book sounds awesome. Thanks for the giveaway! 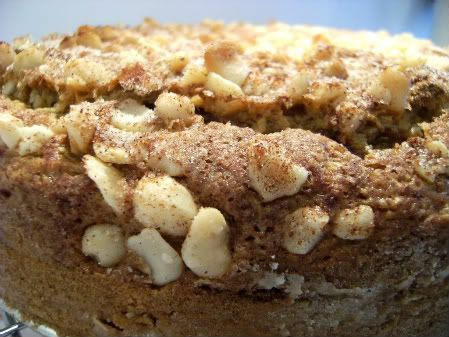 I used to make a really good peanut butter coffee cake, but it's been several years & I don't know where the recipe is. Everyone always loved it when I brought it to work! yummmm coffee cake!! I love the classic cinnamon coffee cake, but will any kind placed in front of me. I love a traditional coffee cake with all its cinnamon sugary goodness. But I also have a lemon blueberry recipe that is to die for. I imagine that is a wonderful cookbook. 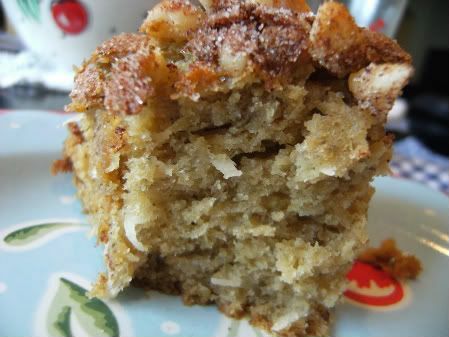 Ummm I love coffee cakes, and this combination of coconut and macadamia sounds great!!! i remember my mama's coffee cake. it was the best sweet treat she ever made. 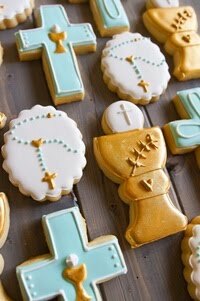 i hope my boys have a best sweet treat to remember. Anything with coconut and macadamia is fabulous! I (we) made the cookies for teachers with edible markers, they were a huge hit! 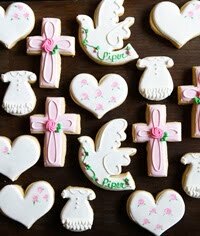 Cutest idea ever! What a great giveaway! 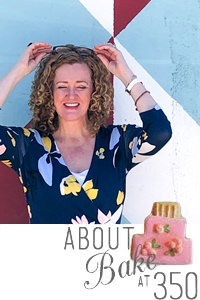 My favorite coffee cake is filled with Raspberry preserves and drizzled with frosting. I am sure it has a name I just cant think of it. This is difficult. 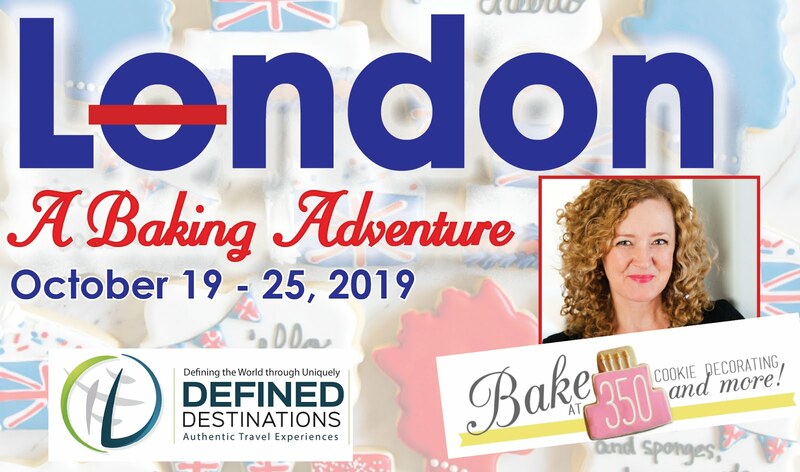 I love apricot crumb coffee cake, or an orange crumb cake with a sweet glaze, or an almond coffee cake with almond paste! I love sour cream and apple. yummy! warm out of the oven and a big wallop of whipping cream on top! I didn't really know there were different flavors of coffee cake, but I would love to try to make some! I love any coffee cake. But I love Angel Cake, ummmmm delicious. Hmmmm, I think, it's the mixed berry tea cake that I made recently but the computer will not let me post!! Grrr! My favorite is the cinnamon kind that my Swedish grandmother used to make. Oh. My. Goodness! It was to die for!! I love any kind of coffee cake, but especially if it has blueberries. I love coffee cake with cinammon in it. I love the taste of cinnamon and raisins (like in cinnamon rolls) YUM!! Yum, yum, yum!!! I have been making an almond cranberry coffee cake. I tweaked a recipe I found online... used whole fresh cranberries that I had frozen, and subbed almond meal for 1/2 the flour. So tasty!! Blessings!! If I had to pick I would say my favourite coffee cake is a blueberry one. I love any flavour with the streusel on top too though! I haven't met a coffee cake I didn't like. Sadly, I've never been able to say "no" to a coffee cake. My very favorite would have to be cinnamon streusel though. YUM! Just wanted to let you know that we made this coffee cake yesterday for a 4th of July brunch. It was really good then, but today the leftovers were AMAZING!! The flavors became more pronounced with a little time. Yum- thanks for the recipe!